Using pacts made with their avatars Summoners are able to grant beneficial buffs to party members while maintaining the ability to heal (with a White Mage subjob) or deal massive damage. Available after completing the quest I Can Hear A Rainbow (Summoner Flag Quest). 50	 Elemental Siphon 00:05:00 N/A Drains MP from your summoned spirit. Only effective on spirits summoned by the summoner. 55 Avatar's Favor 00:05:00 02:00:00 Channels the avatar's power towards a beneficial status effect for party members within range. Reduces perpetuation cost while active. Summoning Magic spells allow the summoner to call an avatar or elemental spirit to fight by his or her side. Avatar Pacts allow the Summoner to call powerful avatars that can be commanded to attack foes, or perform special attacks or support abilities. Most of these are obtained by defeating a powerful version of the avatar in a special battle. Elemental Spirit Pacts allow the Summoner to cast spirits that will attack foes and occasionally cast spells of their particular element either on enemies or the summoner themselves depending on the nature of the spell. These are learned from scrolls that may be purchased, or dropped from enemies. 1 Carbuncle 00:00:05 00:00:30 Summons Carbuncle to fight by your side. 1 Ifrit 00:00:30 00:00:05 Summons Ifrit to fight by your side. 1 Titan 00:00:30 00:00:05 Summons Titan to fight by your side. 1 Leviathan 00:00:30 00:00:05 Summons Leviathan to fight by your side. 1 Garuda 00:00:30 00:00:05 Summons Garuda to fight by your side. 1 Shiva 00:00:30 00:00:05 Summons Shiva to fight by your side. 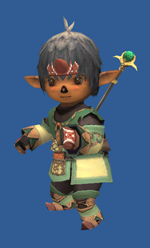 1 Ramuh 00:00:30 00:00:05 Summons Ramuh to fight by your side. 1 Fenrir 00:00:30 00:00:05 Summons Fenrir to fight by your side. 1 Diabolos 00:00:30 00:00:05 Summons Diabolos to fight by your side. 1 Fire Spirit Instant 00:00:10 Summons an Fire Spirit to fight by your side. 1 Ice Spirit Instant 00:00:10 Summons an Ice Spirit to fight by your side. 1 Air Spirit Instant 00:00:10 Summons an Air Spirit to fight by your side. 1 Earth Spirit Instant 00:00:10 Summons an Earth Spirit to fight by your side. 1 Lightning Spirit Instant 00:00:10 Summons an Lightning Spirit to fight by your side. 1 Water Spirit Instant 00:00:10 Summons a Water Spirit to fight by your side. 1 Light Spirit Instant 00:00:10 Summons a Light Spirit to fight by your side. 1 Dark Spirit Instant 00:00:10 Summons a Dark Spirit to fight by your side. 1 Assault 00:00:10 N/A Command your summoned creature to attack. 1 Release 00:00:10 N/A Releases your summoned creature. 1 Blood Pact: Rage 00:01:00 N/A Orders the avatar to use special attacks. 10 Maximum MP Up I Increases maximum MP. 15 Clear Mind I Base HMP becomes 15. 20 Resist Slow I Gives a slight resistance to the Slow effect. 25 Auto Refresh Gain refresh effect. 1MP/Tick. 30 Clear Mind II Base HMP becomes 18. 30 Maximum MP Up II Increases maximum MP. 40 Resist Slow II Gives a slight resistance to the Slow effect. 45 Clear Mind III Base HMP becomes 21. 50 Maximum MP Up III Increases maximum MP. 60 Clear Mind IV Base HMP becomes 24. 70 Maximum MP Up IV Increases maximum MP. 70 Clear Mind V Base HMP becomes 27. 1 Astral Flow 02:00:00 00:03:00 Allows you to command your summoned avatar to perform its most powerful AOE attack at a cost of 2x user's current level but using all of the Summoner's MP. this ability also reduces perpetuation cost of spirits and avatars to 0, and reduces spirit casting timer by 5 seconds. Based on the element Light, Carbuncle is your first companion upon obtaining the Summoner job class with abilities that focus mostly on healing and party buffs. 1 Healing Ruby Instant 00:01:00 Carbuncle heals some of the target's Hit Points. 1 Searing Light Instant 00:01:00 Carbuncle inflicts massive Light damage to multiple targets. Consumes all mana and can only be used after Astral Flow ability. 5 Poison Nail Instant 00:01:00 Carbuncle poisons the target. 24 Shining Ruby Instant 00:01:00 Carbuncle boosts Defense and Magic Defense of the party by 10%. 44 Glittering Ruby Instant 00:01:00 Carbuncle raises one random stat of each member of the party, amount raised decreases as time goes on. 55 Meteorite Instant 00:01:00 Carbuncle casts a powerful light attack on the target. 55 Carbuncle's Favor Instant Instant Grants Regen effect on all party members in range. Triggered with Carbuncle summoned and Avatar's Favor active. 65 Healing Ruby II Instant 00:01:00 Carbuncle heals all party members in range. Garuda uses her wind-based abilities to deal damage and buff party members with spells like Haste and Blink. The ability to summon Garuda is obtained by completing Trial Size Trial By Wind at level 20 or Trial By Wind at level 65. 1 Aerial Blast Instant 00:01:00 Garuda does massive wind damage to the target. This uses all Mana and can only be cast after Astral Flow. 1 Claw Instant 00:01:00 Garuda claws the enemy for damage. 10 Aero II Instant 00:01:00 Garuda casts Aero II on the target. 25 Aerial Armor Instant 00:01:00 Garuda casts Blink on the group. 36 Whispering Wind Instant 00:01:00 Garuda heals some hit points on each party member. 48 Hastega Instant 00:01:00 Garuda casts Haste on the party. 55 Garuda's Favor Instant Instant Grants an evasion bonus effect on all party members in range. Triggered with Garuda summoned and Avatar's Favor active. 75 Merit Wind Blade Instant 00:01:00 Deals wind elemental damage. Master of fire, Ifrit's powers focus on dealing massive damage to your enemies. The ability to summon Ifrit is obtained by completing Trial Size Trial By Fire at level 20 or Trial By Fire at level 65. 1 Inferno Instant 00:01:00 Ifrit inflicts massive fire damage to multiple targets. This uses all Mana and can only be cast after using the Astral Flow. 1 Punch Instant 00:01:00 Ifrit punches the target and inflicts damage. 23 Burning Strike Instant 00:01:00 Ifrit hits the target with a fire element boosted physical attack. 30 Double Punch Instant 00:01:00 Ifrit punches the target twice for damage. 55 Ifrit's Favor Instant Instant Grants a Double Attack bonus effect on all party members in range. Triggered with Ifrit summoned and Avatar's Favor active. 60 Fire IV Instant 00:01:00 Ifrit casts Fire IV on the target. 75 Merit Meteor Strike Instant 00:01:00 Deals fire elemental damage. Lord of the oceans and rivers, Leviathan commands the waters to do his bidding to deal water and physical damage to foes, as well as inflicting debuffs that slow. The ability to summon Leviathan is obtained by completing Trial Size Trial By Water at level 20 or Trial By Water at level 65. 1 Tidal Wave Instant 00:01:00 Leviathan inflicts massive water damage to multiple targets. This uses all Mana and can only be cast after using Astral Flow. 1 Barracuda Dive Instant 00:01:00 Leviathan physically attacks the target. 10 Water II Instant 00:01:00 Leviathan casts Water II on the target. 26 Tail Whip Instant 00:01:00 Leviathan inflicts melee damage against the target, with the added effect of Gravity. 33 Slowga Instant 00:01:00 Leviathan slows all enemies within range. 47 Spring Water Instant 00:01:00 Leviathan heals some of the hit points of your party members and removes Blind, Silence, Petrification, Paralysis, Disease, Poison, and Sleep (can only remove one of these at a time). 55 Leviathan's Favor Instant Instant Grants a magical accuracy effect on all party members in range. Triggered with Leviathan summoned and Avatar's Favor active. 60 Water IV Instant 00:01:00 Leviathan casts Water IV on the target. 75 Merit Grand Fall Instant 00:01:00 Deals water elemental damage. With his massive size and strength, Titan uses rocks and even the earth itself to aid the Summoner in battle. The ability to summon Titan is obtained by completing Trial Size Trial By Earth at level 20 or Trial By Earth at level 65. 1 Earthen Fury Instant 00:01:00 Titan inflicts massive earth damage to multiple targets. This uses all mana and can only be cast after using Astral Flow. 1 Rock Throw Instant 00:01:00 Titan throws a rock at the target, causing physical damage and slowing it. 21 Rock Buster Instant 00:01:00 Titan strikes the enemy and binds it in place. 35 Megalith Throw Instant 00:01:00 Titan does a ranged physical attack that inflicts damage upon and slows the enemy. 46 Earthen Ward Instant 00:01:00 Titan gives party members within range Stoneskin. 55 Titan's Favor Instant Instant Grants a defense bonus effect on all party members in range. Triggered with Titan summoned and Avatar's Favor active. 60 Stone IV Instant 00:01:00 Titan casts Stone IV on the target. 75 Merit Geocrush Instant 00:01:00 Deals Earth damage and stuns the target. The Ice Queen herself, Shiva uses her control of frost to perform devastating attacks on your foes that deal considerable damage or put them to sleep for the winter. The ability to summon Shiva is obtained by completing Trial Size Trial By Ice at level 20 or Trial By Ice at level 65. 1 Diamond Dust Instant 00:01:00 Shiva inflicts massive ice damage on multiple targets. This uses all mana and can only be cast after using Astral Flow. 1 Axe Kick Instant 00:01:00 Shiva kicks the target for physical damage. 28 Frost Armor Instant 00:01:00 Shiva casts Ice Spikes on the party. 39 Sleepga Instant 00:01:00 Shiva casts Sleepga on all enemies in range. 50 Double Slap Instant 00:01:00 Shiva slaps the target twice, causing physical damage. 55 Shiva's Favor Instant Instant Grants a magic attack effect on all party members in range. Triggered with Shiva summoned and Avatar's Favor active. 60 Blizzard IV Instant 00:01:00 Shiva casts Blizzard IV on the target. 75 Merit Heavenly Strike Instant 00:01:00 Deals ice damage to an enemy. The wise old god of lightning, Ramuh uses his ability to call forth electricity to aid you against your enemies. The ability to summon Ramuh is obtained by completing Trial Size Trial of Lightning at level 20 or Trial By Lightning at level 65. 1 Judgment Bolt Instant 00:01:00 Ramuh does massive lightning damage on multiple targets. This uses all Mana and can only be cast after using Astral Flow. 1 Shock Strike Instant 00:01:00 Ramuh hits the target for physical damage with an additional stun effect. 10 Thunder II Instant 00:01:00 Ramuh casts Thunder II on the target. 19 Thunderspark Instant 00:01:00 Ramuh inflicts thunder damage on on all enemies in range with an additional Paralysis effect. 31 Rolling Thunder Instant 00:01:00 Ramuh gives party members in range Enthunder for 60 seconds. 42 Lightning Armor Instant 00:01:00 Ramuh casts Shock Spikes on the party. 55 Ramuh's Favor Instant Instant Grants a critical hit rate bonus effect on all party members in range. Triggered with Ramuh summoned and Avatar's Favor active. 60 Thunder IV Instant 00:01:00 Ramuh casts Thunder IV on the target. 75 Merit Thunderstorm Instant 00:01:00 Deals lightning damage to the target. Said to have dominion over dreams, Diabolos uses this power to devastate enemies with powerful debuffs and darkness attacks. The ability to summon Diabolos is granted after the completion of PM 3-5 Darkness Named which is a level 40 capped battle and defeating him again in Waking Dreamswhich requires a party of 70+ players. 1 Ruinous Omen Instant 00:01:00 Diabolos reduces the HP of enemies within area of effect by a random percentage. 1 Camisado Instant 00:01:00 Deals physical damage. 20 Somnolence Instant 00:01:00 Diabolos deals physical damage and inflicts Gravity. 29 Nightmare Instant 00:01:00 Deals darkness elemental damage that puts all enemies within the area of effect to sleep and gradually reduces their HP. 37 Ultimate Terror Instant 00:01:00 Decreases attributes of enemies within area of effect. 49 Noctoshield Instant 00:01:00 Gives party members within area of effect the effect of Phalanx. 55 Diabolos's Favor Instant Instant Grants a Refresh effect on all party members in range. Triggered with Diabolos summoned and Avatar's Favor active. 56 Dream Shroud Instant 00:01:00 Enhances magic attack and magic defense of party members within area of effect. 180 second duration. 65 Nether Blast Instant 00:01:00 Delivers a ranged attack that deals darkness elemental damage. Summoned to push the Shadow Lord's armies back from the Federation of Windurst during the Great War, Fenrir uses the phases of the moon to determine the results of his buffs and deal darkness damage in defense of the Summoner. The ability to summon Fenrir is obtained upon completion of The Moonlit Path. 1 Howling Moon Instant 00:01:00 Fenrir inflicts massive darkness damage on multiple targets. This uses all mana and can only be cast after using Astral Flow. 5 Moonlit Charge Instant 00:01:00 Fenrir hits the enemy for melee damage and inflicts blind. 10 Crescent Fang Instant 00:01:00 Fenrir hits the enemy for melee damage and inflicts paralysis. 21 Lunar Cry Instant 00:01:00 Inflicts accuracy and evasion down depending on moon phase. The closer to a new moon, the more evasion is decreased, while the closer to a full moon, the more accuracy is decreased. 32 Lunar Roar Instant 00:01:00 Area of effect Dispel which removes two buffs from enemies. 43 Ecliptic Growl Instant 00:01:00 Increases stats for party members in range. The closer to full moon it is, the more that STR, VIT, and DEX are increased, while the closer to new moon that it is, the more AGI, INT, MND, and CHR are increased. 54 Ecliptic Howl Instant 00:01:00 All party members in range get Evasion and Accuracy up. The amount of evasion increased is greater as the moon is closer to a new moon, while the amount of accuracy increased is greater when closer to a full moon. 55 Fenrir's Favor Instant Instant Grants a magic evasion effect on all party members in range. Triggered with Fenrir summoned and Avatar's Favor active. White Mage: Possibly the most common subjob choice, White Mage, allows a Summoner to become an effective healer while they use their avatars for party buffs. Black Mage: A Summoner placed into a damage dealing role in a party may choose to sub Black Mage for the mp boost and other beneficial stats. However, with the lack of defensive abilities with Black Mage as a sub, it's hardly a practical sub for almost all of Summoner's roles. Red Mage: A not so common job choice, but available if you have it leveled. Lacks the status removal of a White Mage, however you do gain En-spells, Phalanx, your Enfeebling Magic Skill is higher than that of other mages, and you retain your ability to use non-Blood Pact healing magic. Samurai: A very unpopular choice, but a good choice if you need something to drive Spirit Taker to replenish MP during solo/farming. A Summoner using this Sub-job retains the ability to dodge/counter-attack via Third Eye and Seigan, and also gains Hasso for a nice melee bonus. Meditate is a key ability as it allows you to build TP without actually landing a hit. Thief: A great choice for farming, but also for solo. With Sneak Attack, some Summoners find that the return of MP from Spirit Taker is worth the trade off for lack of support magic. Scholar: A rather new subjob choice, Scholar allows a Summoner similar healing abilities as subbing White Mage would, and with the new job ability Sublimation as well as a Dark Arts enhanced Aspir, recovering mp is not as much of a challenge as it was before. Avatar Physical Accuracy Enhances the Avatar's melee accuracy by 3 per upgrade. Maximum of 5 upgrades. Avatar Physical Attack Enhances the Avatar's melee attack power by 2 per upgrade. Maximum of 5 upgrades. Avatar Magic Accuracy Enhances the Avatar's Magic Accuracy by 3 per upgrade. Maximum of 5 upgrades. Avatar Magic Attack Power Enhances the Avatar's Magic Attack Bonus by 2 per upgrade. Maximum of 5 upgrades. Elemental MP Cost Reduces the MP needed to maintain Elemental Spirit Pacts by 1. Maximum of 5 upgrades. Geocrush Allows Titan to deal elemental Earth damage that will also stun the target. Additional upgrades to this spell will increase the TP granted when used by 40. Maximum of 5 upgrades. Grand Fall Allows Leviathan to deal elemental Water damage to the target. Additional upgrades to this spell will increase the TP granted when used by 40. Maximum of 5 upgrades. Heavenly Strike Allows Shiva to deal elemental Ice damage to the target. Additional upgrades to this spell will increase the TP granted when used by 40. Maximum of 5 upgrades. Meteor Strike Allows Ifrit to deal elemental Fire damage to the target. Additional upgrades to this spell will increase the TP granted when used by 40. Maximum of 5 upgrades. Thunderstorm Allows Ramuh to deal elemental Lightning damage to the target. Additional upgrades to this spell will increase the TP granted when used by 40. Maximum of 5 upgrades. Wind Blade Allows Garuda to deal elemental Wind damage to the target. Additional upgrades to this spell will increase the TP granted when used by 40. Maximum of 5 upgrades. This page last modified 2010-04-18 20:12:57.